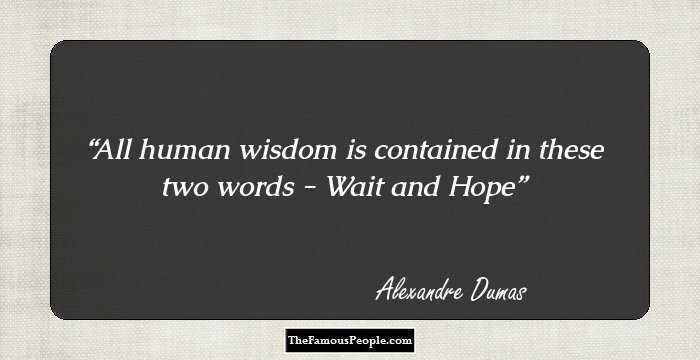 Top quotes by Alexandre Dumas on hope, wisdom, happiness, love and other things. 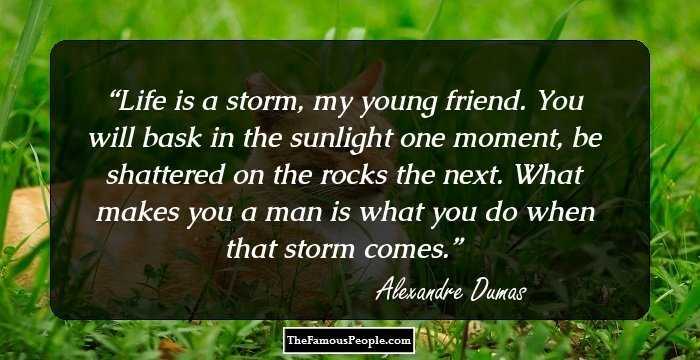 Dumas Devy de la Pailleterie, popularly known as Alexandre Dumas, was a French author who lived in the 19th century and is credited for writing some of the most wildly popular stories in French, that went on to become bestsellers all over the world. 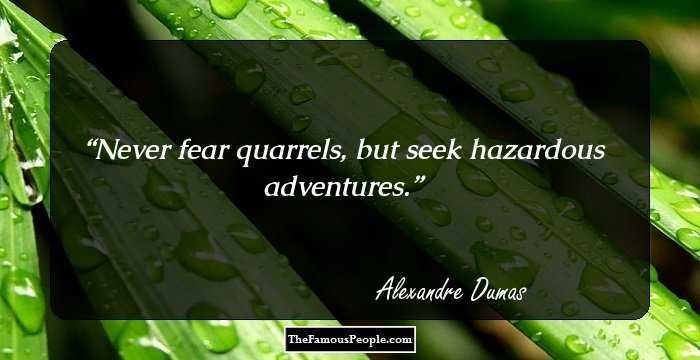 Dumas was born in an aristocratic family in France and that helped him finding his feet as an author from a young age. 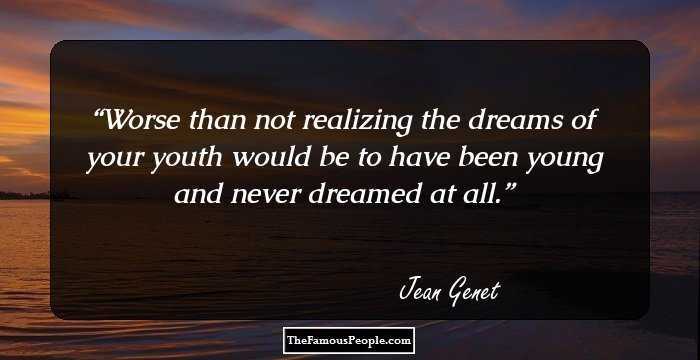 Initially, he was a writer of plays but it was as a novelist he found true fame and some of his most famous works include ‘The Three Musketeers’, ‘The Victome de Bragelonne: Ten Years Later’, ‘The Count of Monte Cristo’ and ‘Twenty Years After’. 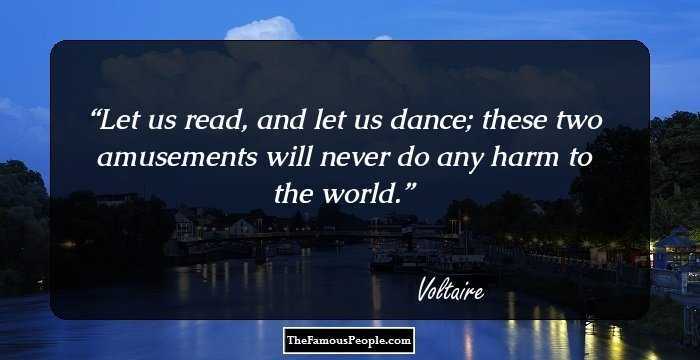 The novels proved to be huge successes and have been read by people from all across the world. In addition to that, the novels have also been made into films hundreds of times by film producers in different parts of the world. Dumas was also a regular contributor in several magazines of the time and was a noted travel writer as well. 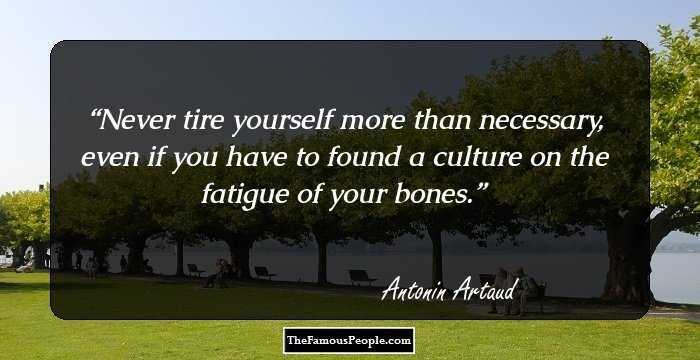 Needless to say, Dumas was a man of great intellect and wit, which is why it is not a surprise that he has left behind a rich collection of quotes. Here are some of the selected ones. All human wisdom is contained in these two words--"Wait and Hope. For all evils there are two remedies - time and silence. We are always in a hurry to be happy...; for when we have suffered a long time, we have great difficulty in believing in good fortune. Fool that I am," said he,"that I did not tear out my heart the day I resolved to revenge myself". You are very amiable, no doubt, but you would be charming if you would only depart. Often we pass beside happiness without seeing it, without looking at it, or even if we have seen and looked at it, without recognizing it. Sometimes one has suffered enough to have the right to never say: I am too happy. What I’ve loved most after you, is myself: that is, my dignity and that strength which made me superior to other men. That Strength was my life. You’ve broken it with a word, so I must die. ...remember that what has once been done may be done again. Now I'd like someone to tell me there is no drama in real life! Rogues are preferable to imbeciles because sometimes they take a rest. ...but my friends call me Edmund Dantes. So rapid is the flight of dreams upon the wings of imagination. 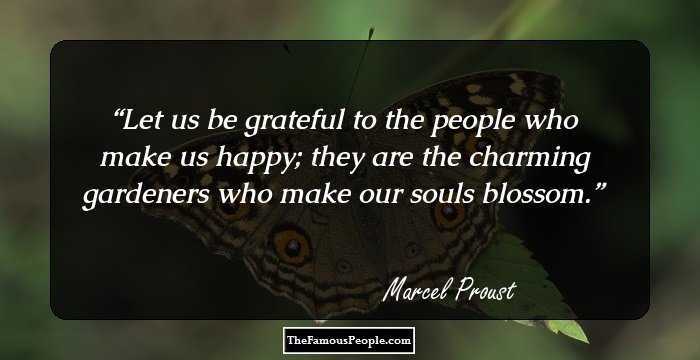 Be happy, noble heart, be blessed for all the good thou hast done and wilt do hereafter, and let my gratitude remain in obscurity like your good deeds. A weakened mind always sees everything through a black veil. The soul makes its own horizons; your soul is dark, which is why you see such a cloudy sky. And now...farewell to kindness, humanity and gratitude. I have substituted myself for Providence in rewarding the good; may the God of vengeance now yield me His place to punish the wicked. I am hungry, feed me; I am bored, amuse me. ...know you not that you are my sun by day, and my star by night? By my faith! I was in deepest darkness till you appeared and illuminated all. Besides we are men, and after all it is our business to risk our lives. In business, sir, one has no friends, only correspondents. But Valentine, why despair, why always paint the future in such sombre hues?" Maximilien asked. "Because, my friend, I judge it by the past. Everyone knows that drunkards and lovers have a protecting diety. The wretched and the miserable should turn to their Savior first, yet they do not hope in Him until all other hope is exhausted. Through the ingenuousness of her age beamed an ardent mind, a mind not of the women but of the poet; she did not please, she intoxicated. On what slender threads do life and fortune hang. Mastery of language affords one remarkable opportunities. I'm sure you're very nice, but you'd be even nicer if you went away. Yet man will never be perfect until he learns to create and destroy; he does know how to destroy, and that is half the battle. It is the infirmity of our nature always to believe ourselves much more unhappy than those who groan by our sides! Everyone knows that God protects drunkards and lovers. I am a Count, Not a Saint. 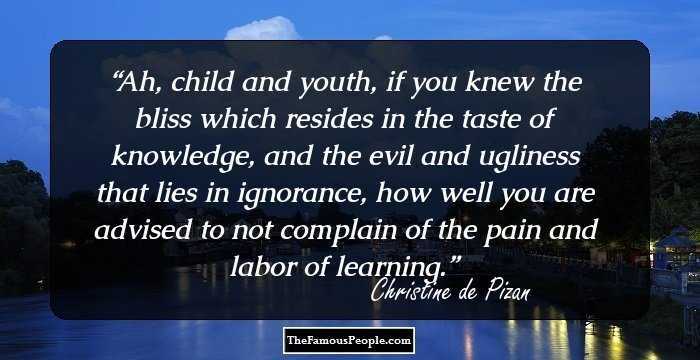 Youth is a blossom whose fruit is love; happy is he who plucks it after watching it slowly ripen. 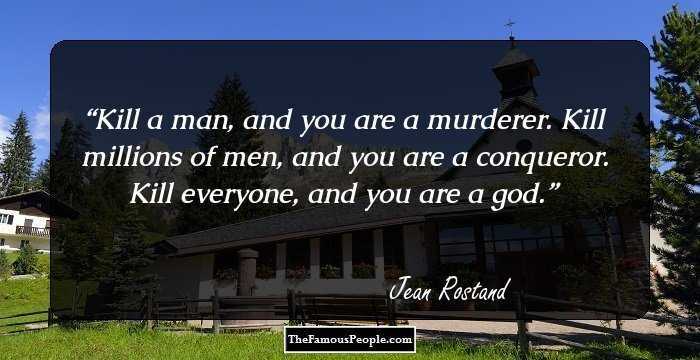 In politics, my dear fellow, you know, as well as I do, there are no men, but ideas — no feelings, but interests; in politics we do not kill a man, we only remove an obstacle, that is all. Your life story is a novel; and people, though they love novels wound between two yellow paper covers, are oddly suspicious of those which come to them in living vellum. Within six months, if I am not dead, I shall have seen you again, madam--even if I have to overturn the world. If it is ones lot to be cast among fools, one must learn foolishness. If you wish to discover the guilty person, first find out to whom the crime might be useful. All falsehood is a mask; and however well made the mask may be, with a little attention we may always succeed in distinguishing it from the true face. ......When one loves, one is only too ready to believe one's love returned. 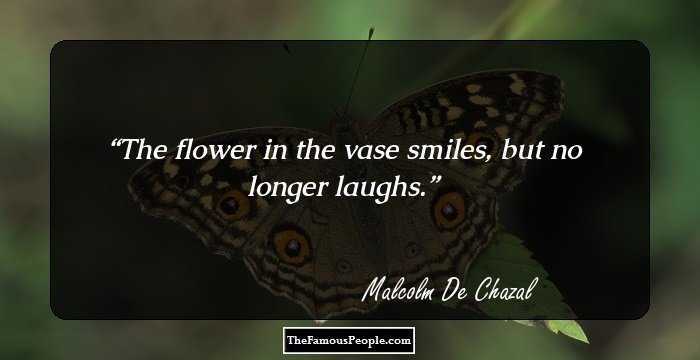 It is not the tree that forsakes the flower, but the flower that forsakes the tree. We frequently pass so near to happiness without seeing, without regarding it, or if we do see and regard it, yet without recognizing it. I love the life you've always made so sweet for me and I'd regret it if I had to die.' 'Do you mean to say that if I left you---' 'I'd die, yes.' 'Then you love me? God is merciful to all, as he has been to you; he is first a father, then a judge.